Guanajuato is considered one of the prettiest cities in the country, with extensive tourist and cultural offerings. It is recognized by UNESCO as World Heritage City. It is surrounded by mountains and characterized by its small alleys and its magnificent terrain. It is located strategically in the center of the country and is well connected with other important cities. 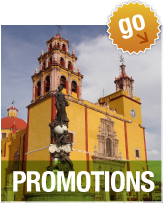 Guanajuato has many cultural offering including concerts, performances, and museums. Although certain precautions are always advised when traveling abroad, your safety will not be an issue in Guanajuato. The city prides itself on being one of the safest places in all of Mexico. The Guanajuato International Airport is located close by, less than 20 minutes away by taxi. The city attracts tourists from all over the world who enjoy walking through the streets, visiting the museums, and enjoying the rich culture of the city in general. 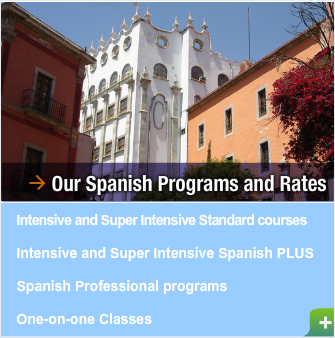 The climate is perfect year-round, making the city the appropriate destination to rest and learn Spanish. Guanajuato is home to various important artistic and cultural festivals throughout the year. These include international events, such as the Festival Internacional Cervantino, the International Film Festival Expresion en Corto, and the Coloquio Internacional Cervantino, and local events, such as Festival Medieval, where locals demonstrate medieval times, and Festival Cultural Universitario de la Universidad de Guanajuato. Other events such as Rally Corona, Festival Guanajuato en Globo and more, all take place in Guanajuato.